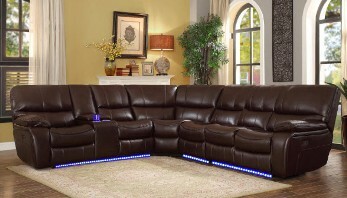 Luxurious sectional features plush back cushions with contoured seats & pillow top arms. 2 power recliners plus 1 manual recliner & 1 console with cupholders & storage. Leather gel match upholstery with black piping.